Typically, large pore size is related to overactive sebaceous gland activity, so those with oily skin or acne tend to experience more visible pores. When these oily skin pores become clogged with sebum, the pore wall becomes stretched. This oily substance, called sebum, produced by our bodies, keeps the skin lubricated and waterproof. It’s common to see patients with naturally oily skin, to have larger pores than patients with dry skin. Our skin starts swelling when oil and dirt collects in our skin, therefore the pores will start to look bigger than what it is. Large pores should not always be associated with severe acne. 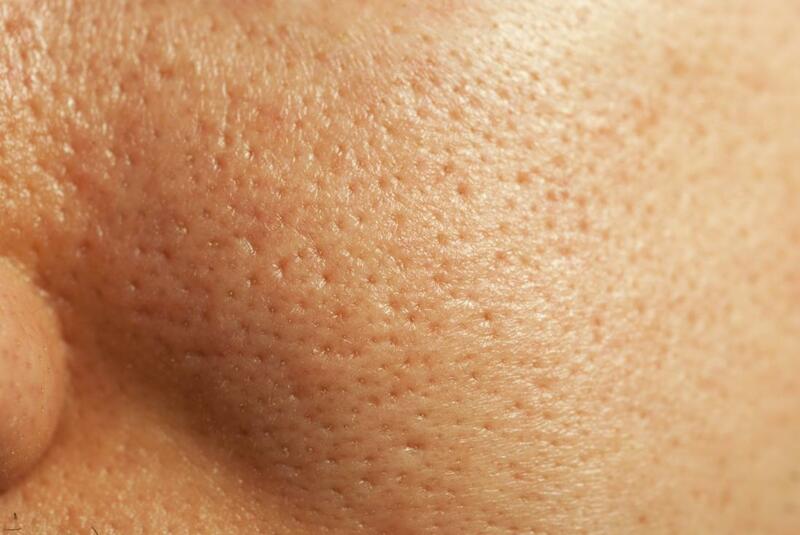 Sometimes small scars formed after acne, can be wrongly identified as large pores. Ageing skin, which is losing its elasticity can also contribute to enlarged pores, as can sun exposure and skin that is out of balance due to incorrect product use, health issues, medication use or other reasons. BroadBand Light -BBL™, MicroLaserPeel® and Dermapen ;– are useful in treatment of enlarged facial pores. This treatment is triple-benefit with skin smoothing, collagen encouragement and pore minimizing. Oral isotretinoin (Accutane) and topical tretinoin (similar to Retin-A) have shown to be effective in decreasing pore size. Glycolic acid peels, with or without vitamin C, have been shown to decrease pore size appearance. Salicylic and Pumpkin acid peels are also helpful for acne patients because this type acid penetrates plugged pores. Exfoliate regularly. But don’t use the highly abrasive ground shell formulas – they’ll just tear your skin. If you use cream-style cleansers and notice clogged pores, switch to a water-based foaming cleanser. Try a low level exfoliating moisturizer (eg Retinol which can cause mild flaking). Kaolin clay masks can help keep pores clearer. Steer clear of the highly fragranced products. Pay attention to diet and get adequate fruits, veggies and fiber. Fabric softeners used for sheets and pillow cases can leave a film on your skin. If you notice more pores or small bumps on the sides of your cheeks, try skipping fabric softener and see if you notice an improvement. Don’t try extractions without knowing how. You can easily push thickened oil deeper into the pore, making matters worse.